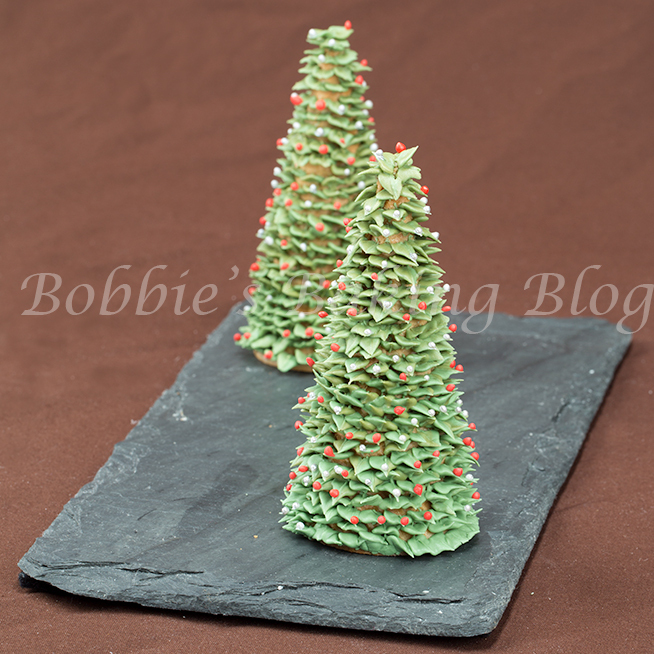 I just had to share this fun and life-like Christmas tree piped with royal icing (including the ornaments)! Literally the entire tree including the drying time in between the leaves and the ornaments took 30 minutes, yet these christmas trees have a wow factor. 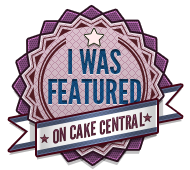 After spending hours creating the royal icing filigree trees for the Colorado Wonderland cake, Sydney and I wanted to construct Christmas trees that anyone could recreate without too much practice. 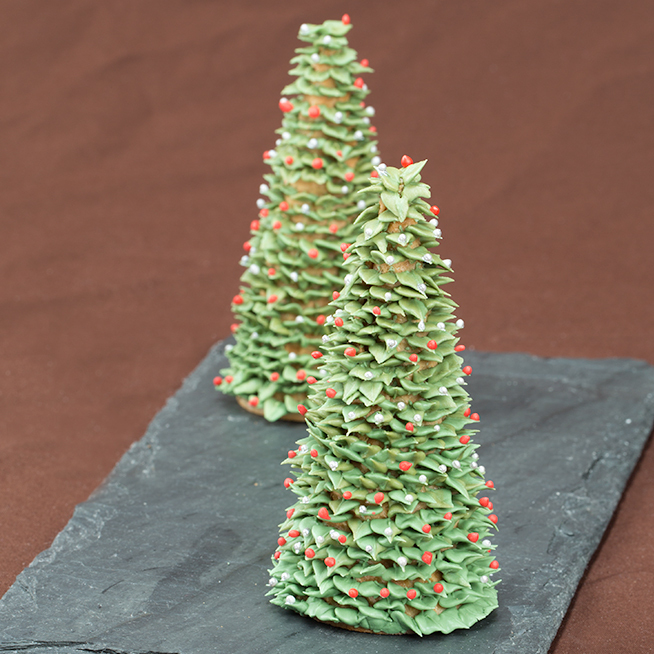 These Christmas trees would be perfect for a cake or a large cupcake. Even by themselves on your Christmas table with an edible tag. The sugar cone flavor with the icing is awesome as is! Supplies for this tutorial can be found here. 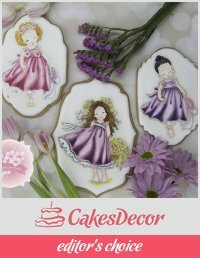 Prepare royal icing and place it in an airtight container covered with plastic wrap and a damp cloth over the plastic wrap. For the leaves on the tree we used a two tone effect. 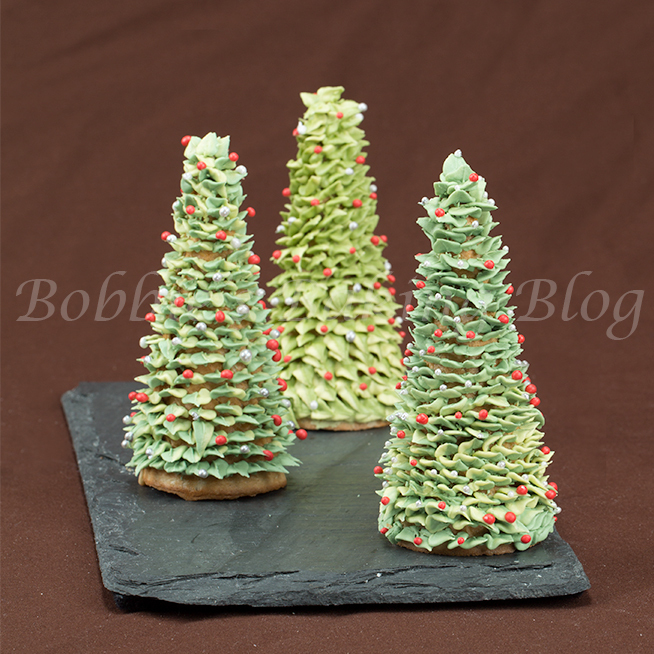 Fill one disposable pastry bag with holly green icing and another one with spruce green. Cut the bottom of each bag and fill one side of the paper cornet, fitted with the leaf tip, with the holly green and the other side with spruce green. 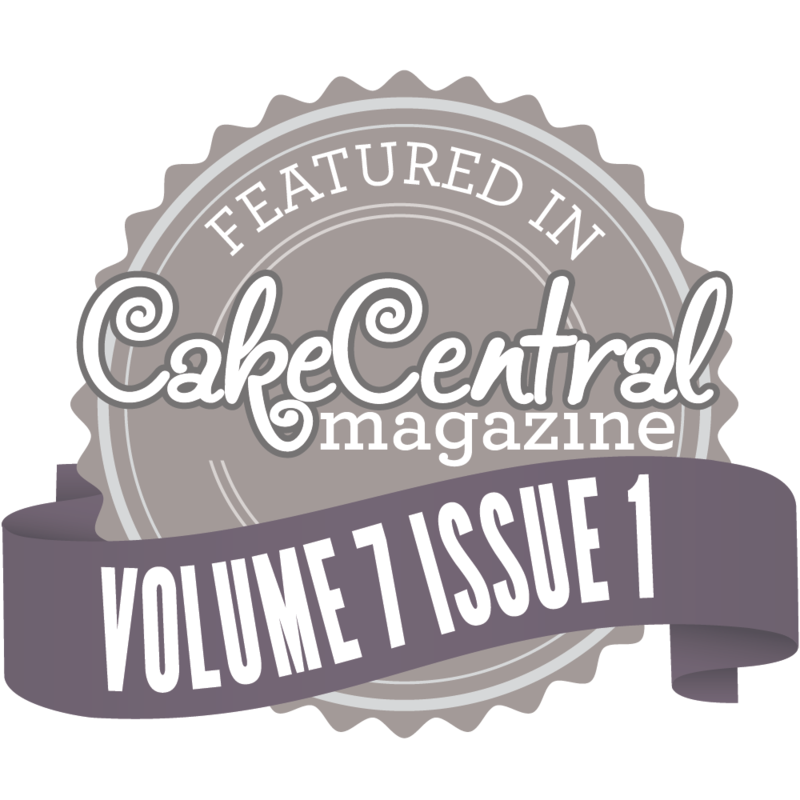 Close your cornet and pipe the icing out, on a work surface, until both colors appear. For Red: 1/4 toothpick violet, 1/8 toothpick golden yellow, 2 drops of red red, and 2 drops of christmas red. 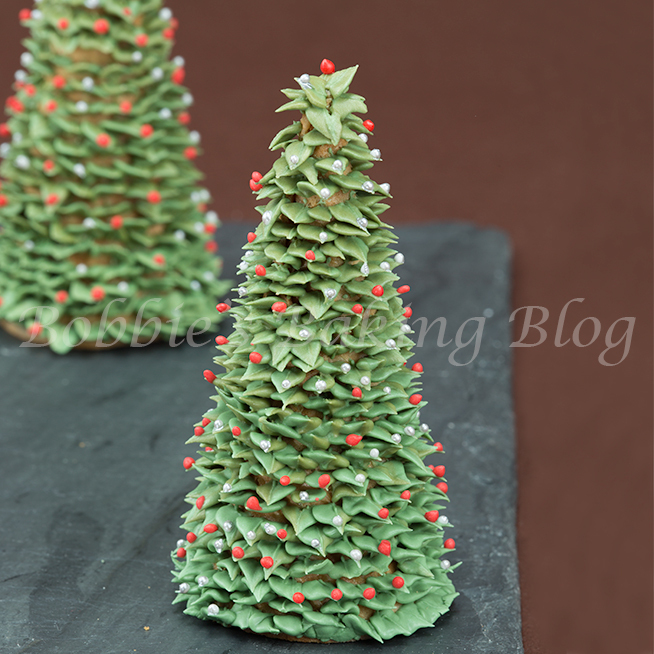 Wait about 15 minutes after piping the leaves (as shown in video), and pipe your ornaments. The first three we piped the green was too light: Moss green and gooseberry. With a little imagination you could design an entire scene around the Christmas trees!